Small groups are a great way to get know others a little better and a great way to learn more about faith, and what it means to be a follower of Jesus from the Bible. There are a couple of groups that meet each week in people’s homes to study the Bible and pray together. You are most welcome to join one. We current have a Ladies Group and a Men’s group that both meet on a Monday night. The men’s Bible study group meets in the home of two of our church members. 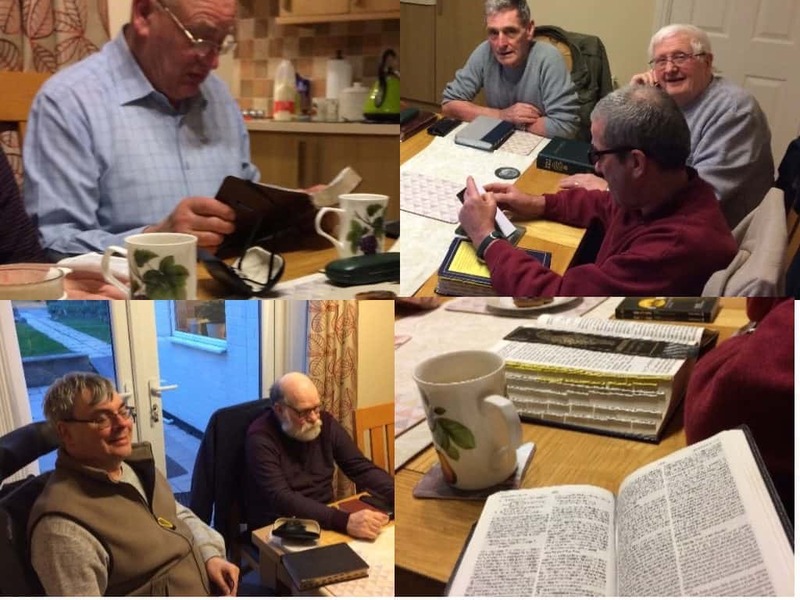 The men’s group has grown in size over recent months and is made up of men of different ages, from different churches, and who are all at various places in their faith journeys. They bounce ideas off each other and explore what the Bible means to each of them. They’re all from different walks of life, car mechanics, office workers, gardeners, carers and those lucky enough to have retired. The group meets in the home of one of our members . We spend time studying the bible together, spend time in prayer and support one another.